Dr. Sammi Hashim has been my doctor ever since I was about 12 or 13 years old. Luckily for me as I grew older, I learned just exactly how terrifyingly smart he really is. By the time he was my personal doctor around 1983, he had always had high personal and business contacts with powerful leaders within the Middle East. Specifically, he is the personal doctor of the Amir of Kuwait. Dr. Hashim, no longer sees ‘typical patients’, just the Amir, or others like him. Although, Dr. Hashim, is ‘not’ just a doctor. He was at one time a part of the FDA system, where they do a very tedious process of approving and testing all medications before they are approved by the USA medical system. Something of which, he told me, takes at times years to accomplish, before they are out for sale in the pharmacies to the public, that you and I go to pick up our drugs. He was also offered the job of the Surgeon General during the Ford Years – that is President Gerald Ford. Although, he declined this offer. He had been one of the lead Metabolic Scientist at St. Lukes Hospital in NYC, specializing in Nutrition as well, and at one point, he had been working on an invention to try to recycle our blood, while being rid of the ‘bad cholesterol’ within our bodies, while pumping back the good blood back in to our system etc.. I speak in the ‘past’ tense, ‘not’ because he has passed on, because actually I am more than positive that he is very much alive – but rather, he would be getting up there in age and well, maybe he has been; slowing down’ etc…But, I know, that he is still close with the Amir of Kuwait, and the Kuwait Regime, nonetheless. As some may have figured, Dr. Hashim became my personal doctor via my dad, of course. I was lucky to have the best of the best in the USA, if not the ‘world’ for my personal doctors. Sadly, for me back in 1988, I was diagnosed with 2 serious diseases. Of which over time, and thru the help and connections of Dr. Hashim, I was able to take care of, despite one of my diseases returning after 20 yrs etc…. But, I have been keeping track of this as well. So far, so good. I place an article about what the Kuwaitis did for my friend Dr. Hashim, for those who have suffered one serious medical problem, of which I too suffer from Atrial Fibrillation. 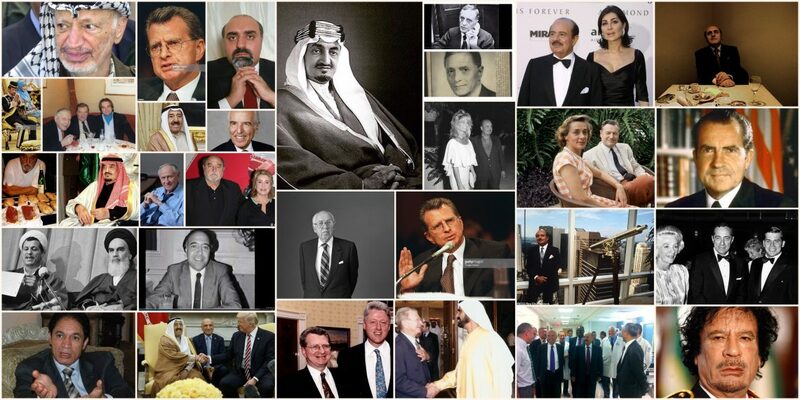 Apparently, the Amir of Kuwait years ago, gave millions to the St. Lukes Hospital in NYC, thanks to Dr. Hashim, of course, bringing them to this beginning. I will place the link of this article here – and when you click on it, there is also a picture on the top of the article – my friend Dr. Hashim, is in the center, right. 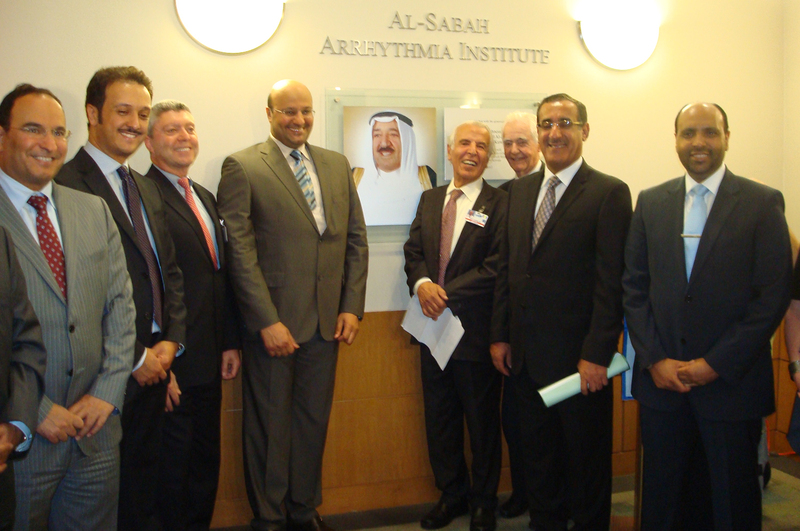 The first one, along with the other important figures both from the hospital and Kuwait. I wish he would return my calls. 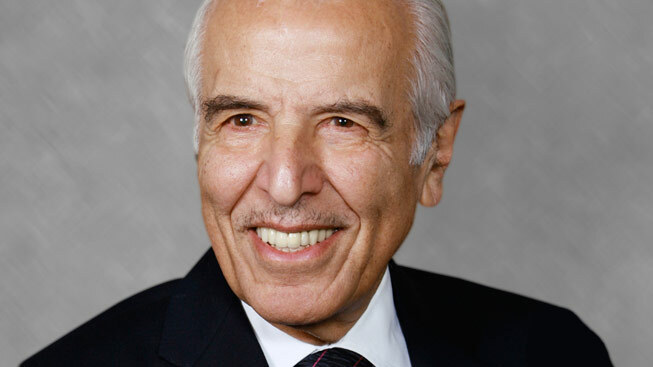 We miss you, Dr. Hashim, and hope you are well.